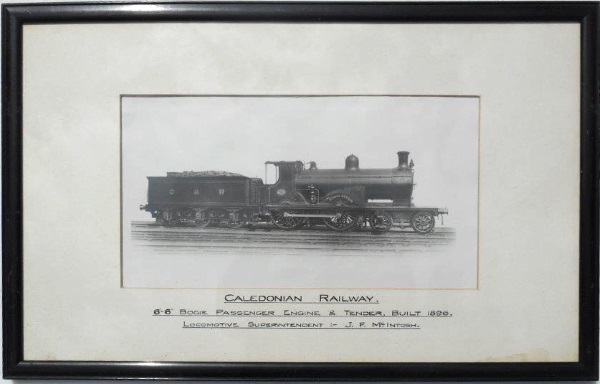 Lot 168 Framed and Glazed Carriage Print "CALEDONIAN RAILWAY BOGIE 6ft 6in PASSENGER ENGINE TENDER. BUILT 1896 - LOCOMOTIVE SUPERINTENDENT - J.F. Mc INTOSH".